After living in the Netherlands for five years, foreign nationals and their family members can apply for a Dutch permanent residence permit. Once you have lived in the Netherlands for five continuous years, depending on your nationality and circumstances in the Netherlands, you can be eligible for either Dutch or European permament residence. Citizens from the European Union (EU), European Economic Area (EEA – EU plus Iceland, Liechtenstein and Norway) and Switzerland are eligible for European permanent residence, as well as their family members regardless of nationalty. Non-EU/EEA/Swiss citizens are also eligible for permanent residency, although they will be assessed for either long-term resident-EC status or ‘regular’ Dutch permanent residency, depending on which conditions they fulfil. Certain foreign residents in the Netherlands are also eligible for Dutch citizenship after five or 10 years (three years in certain cases, such as marriage to a Dutch citizen). Read more about getting Dutch citizenship. What are the benefits of Dutch permanent residence? Dutch permanent residence status allows you to stay in the Netherland indefinitely. 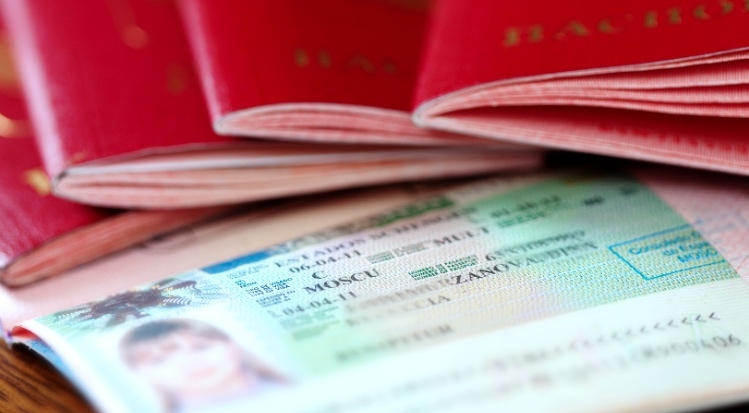 Your residence permit document is valid for five years, and can be renewed. With a Dutch permanent residence permit you are free on the Dutch labour market, meaning you do not need a work permit. Your application will be processed by the Immigration and Naturalisation Service (IND). If you are an EU/EEA or Swiss citizen and have lived continuously in the Netherlands for at least five years, you can apply for a permanent residence permit for ‘citizens of the European Union and their family members’. This also applies to family members who are non-EU/EEA/Swiss citizen, such as spouses, dependent children or relatives of EU/EEA/Swiss citizens regardless of their own nationality. You must complete an application form and submit it to the IND with a passport/ID card and accompanying documentary evidence. if you’re a cross border worker, proof that you stayed and worked in the Netherlands for three years before getting a job in another EU state, that you still have your home in the Netherlands, and that you return at least once a week. You have to pay a fee for the IND to process your application, which is non-refundable if your application is rejected. This is currently EUR 50 (2016 fee), although prices are reviewed each year. The IND aims to decide on applications within eight weeks. For non-EU/EEA/Swiss family members, the processing time is a maximum of six months. Once the IND has processed your application, you will be sent a letter with the decision. If you are granted permanent residence, you will be invited to collect the document about two weeks later at a regional IND desk. are sufficiently integrated in Dutch society. The IND will first check if you meet the European requirements set out in Directive 2003/109/EC and if so, you will receive a permanent residence permit as an EC long-term resident (long-term resident-EC status). With this status, you are typically allowed to move to other EU member states. It’s important to note that a permit for exchange purposes does not count towards your five-year period, and any years of residence for study purposes only count for half of the the period you stayed. If you don’t meet the European requirements, the IND will assess your application based on national legislation. If the conditions are met, you will receive a permanent residence permit in accordance with national law (a long-term Dutch residence permit). If you fail to meet neither European nor Dutch requirements, the IND will assess whether you can extend your current temporary residence permit instead. You must have held a temporary residence permit for at least five consecutive years. If, during your stay, a temporary permit expired and you didn’t apply to extend it nor apply for another permit in time, you might end up with a ‘residence gap’, which can mean your stay, even if it has been more than five years overall, may not be classified as ‘continuous’. Read what happens when your residence permit expires. You should currently hold a residence permit for a non-temporary purpose, for example, employment (with a minimum of a one-year contract), work as a highly skilled migrant, or for family reunification (depending on the permit of the family member). You have to prove you have ‘sufficient‘ long-term income. For example, a single person must have an income of EUR 1,152.60 gross per month (including holiday pay), although figures are reviewed twice a year. You must not be a risk to the public order or national security. You have to prove that you are integrated into Dutch society, and can speak, read and write Dutch by taking a civic integration exam or having a comparable diploma. In some cases you are exempt from this requirement. You must complete an application form (only available in Dutch) and submit it to the IND with a passport/ID card and accompanying documentary evidence. You have to pay a fee for the IND to process your application, which is non-refundable if your application is rejected. This is currently EUR 156 (2016 fee), although prices are reviewed each year. For the latest fees. The IND states a maximum period of six months to process your application. After five years, you need to renew your Dutch permanent residence permit if you want to stay in the Netherlands.